Mortal Muses is a collaboration of nine wonderful female photographers who have brought together a fantastic community of creative and inspiring people from around the world. Visit them and check out my guest post on their blog to read more about bridges, water and why I love living on an island. While you are there be sure to click around and show some comment love, and maybe even become a follower and join their flickr pool to get in on the action! That is a really cool post! I always love reading about how other people experience this city. Popping over to check it out now. NYC is not for the faint of heart, but if you can make it there, you can make it anywhere! So funny, I never think of Manhattan as an island...how odd is that?? I guess it's always in my mind as so much a part of something. Isn't that strange... Heheh, great post! I did comment earlier but incase you didn't get it, well done!! fab story. I'll have to come back and check it out - in the meantime, I love this photo. Whenever I visit your blog, it's like getting a giant dose of culture! I love it! :-) Very intersting, very urban...soooo not things I get to see everyday. Have a great week! I've been WAITING for this post! You know how much I love your bridge photos! Pure perfection. I'm so glad you were musing with us. Love your photos too! I loved your feature! Just beautiful. Congrats on the feature. Great article. 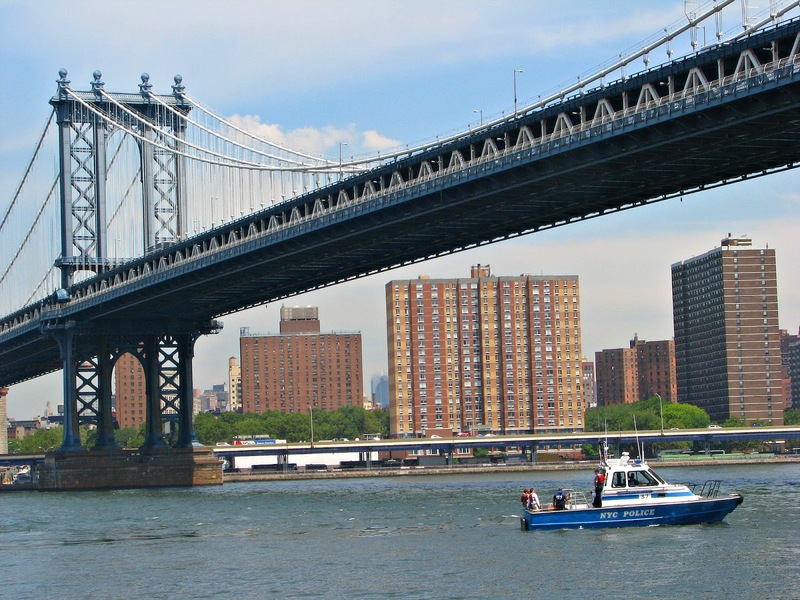 That is a fabulous picture of the Manhattan Bridge. Would never have found your wonderful blog without TheBlogFrog. Just wanted to say hi before I popped over there! That would be a dream - photographing NYC. Such striking buildings + faces. Thank you for stopping by yesterday :) I am off to read your entry! Beautiful pic. I know the bridge is the focus there but I can't help but focus on the multi-colored brick building in the back. Lots to look at in this pics. I've never been, but I am fascinated by NYC. I really enjoy your photos of the city.